Heaven Hill 6 Year Old Bottled in Bond Old Style Bourbon, distilled by Heaven Hill Distilleries and bottled at 50% ABV. In 1939 Heaven Hill Distillery release their first Bottled in Bond bourbon call Old Heaven Hill. 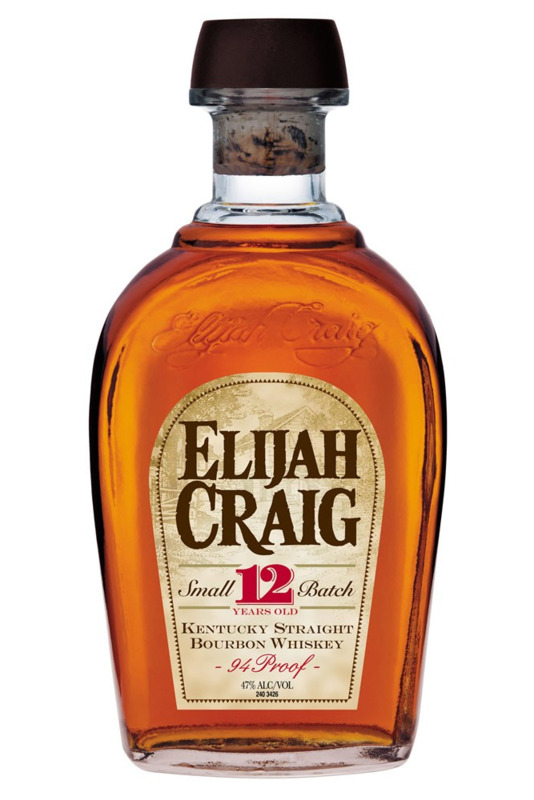 Since then the brand has persisted even though it was supplanted by Evan Williams in 1957 when Heaven Hill decided to make E-Dub their flagship brand. Living in California, I never see Heaven Hill Old Style Bourbon, but this probably due to the fact that it has the same mash bill as Evan Williams. However, while I was visiting Louisville, for ADI's 2015 Conference I found some. I drove out to Liquor Barn and I perused the bourbon aisles I came across Heaven Hill's 6 Year Old Bottled in Bond Old Style Bourbon. I was excited to see this bottle for two reasons. First, because Evan Williams dropped its age statement sometime in the early 2000s, and second, because it was a Bottled in Bond. In the Late nineteenth and early twentieth centuries Bottled in Bond used to be the gold standard of bourbon because it guaranteed a certain level of purity and quality. Today, Bottled in Bond bourbons don't have the same cachet that once did but I see rumblings of a comeback. However, since a bottle of the bourbon was only about $12 I grabbed two to take home. Nose: After the pour the nose is surprisingly closed off despite the its higher ABV. Once it has had time to breath the bourbon opens up with aromas of oak, apple, brown sugar, pumpkin bread and maraschino. Palate: On the palate the bourbon is a little astringent from oak tannins, the whiskey starts warm and crescendos to a nice level that isn't completely overpowering. In the mouth, flavors of cocoa, cinnamon, and nutmeg play against a pleasant sweetness and balanced with oak. Finish: The bourbon has a long finish and while the warmth from the alcohol lingers, notes of sweet maraschino fade into dry oak. With Water: More caramel, toffee, and hazelnut comes through on the palate and interestingly, the oak flavor intensifies. Conclusion: In the end Heaven Hill 6 Year Old Bottled in Bond Old Style Bourbonis a solid value bourbon for making cocktails. Taken neat the bourbon is a little too hot, the palate is slightly bitter and the nose is closed off. However, this bourbon works well in classic whiskey cocktails such as the Manhattan and Old Fashioned.